San Lotano cigars have been a hit for A.J. Fernandez, and this extension seems certain to keep the line high on the charts. The Bull lives up to its billing as a more powerful smoke, while maintaining an inviting, smooth balance. 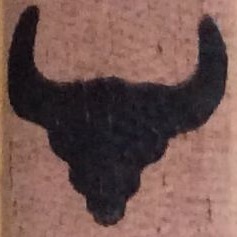 The Bull was originally distributed by the parent company of Cigars International, but has since joined the rest of the San Lotano lines offered through A.J. Fernandez Cigar’s regular distribution channels. The filler is from Fernandez’s fields in Nicaragua, as is the binder. They’re rolled in a fine-looking dark brown Ecuadorian Sumatra wrapper that is encased in a cedar sleeve stamped with the silhouette of a bull’s head. The Robusto, one of the three introductory vitolas, sports a hefty 54 ring gauge with the typical length of 5 inches. Befitting the premium price tag of $9.60, it’s also decked out with a black cloth foot band and is lightly box-pressed. I haven’t come across these locally yet; the two I smoked for this review arrived in my mailbox as part of a Fernandez sampler. I’m a fan of cedar spills and it seemed appropriate to use The Bull sleeves to light the cigars. It was a good way to start. The natural cedar mixed with an explosion of flavors that included spice in the back of the throat, some floral notes, and a pleasant metallic tone. About halfway through, The Bull took on a darker taste. There was less spice, and the floral notes were gone, replaced by a rich tobacco fullness. But spice reappeared in the final third as the cigar continued to evolve. Construction in the two samples was excellent, as was the burn and dark gray ash. And it’s hard to imagine a cigar producing more smoke. Near the end, The Bull did get a bit harsh, signaling time to let it go. For those who enjoy a full-bodied cigar, this is one you shouldn’t miss. I give the San Lotano The Bull Robusto a strong recommendation and four stogies out of five.